Buying your first house is a tough decision. 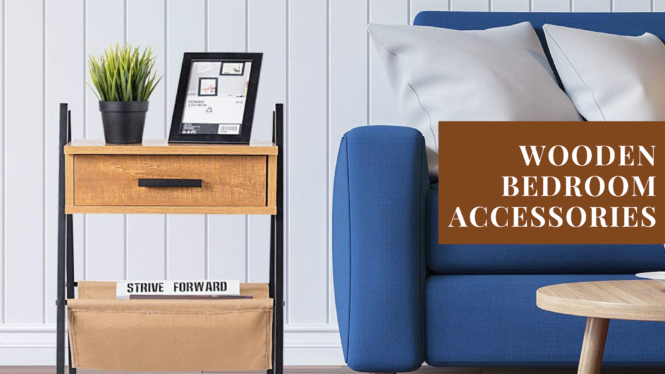 The persistent sting in your mind of whether you have made the right selection, the multiple scenarios playing out in your mind of how your life would be in your new home, and the constant worrying of whether your potential neighbours are friendly. Obviously, not forgetting the never-ending loop of calculating your finances to make sure you can afford it. 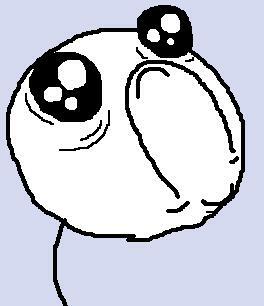 I do get emotional when my life savings all goes into paying this big ticket and i end up with debts. But not buying a house just to avoid going into debt is definitely a nono for me. Scroll down to know why. 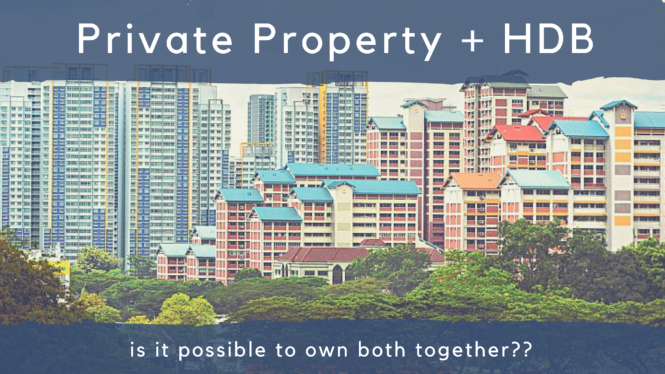 As Singaporeans, we have the privileges to buy subsidized housing twice. This include getting either HDB Build-To-Order / Sales of Balance Flats / Reoffer of Balance Flats (BTO / SOBF / ROF) or Executive Condos (ECs). After 2.5 years of pursuing our first roof we call home, we decided to go for an EC. After countless attempts at BTO and SOBF for 2.5 years, we simply gave up. Even as we go after areas that are non-mature, with Married Child Priority Scheme (MCPS), we simply could not get a queue number within 200% of flat supply. Time is money, the earlier you purchase your first flat, the faster you can get to fulfil the 5 years minimum occupation period (MOP). Thereafter, you have a choice to sell it (usually at a profit), or rent it out. Not forgetting that flats are getting more expensive each year. Similar projects launched after 1 year are priced at least 1% to 2 % higher. EC, on the other hand, have an efficient balloting system. Once a project is launched, you can simply submit your application, know your ballot results, and select your flat unit, all within a couple of weeks. Looking at how Hundred Palm Residences are sold within a day, you can infer the efficiency of EC developers. In addition, EC have a shorter waiting time. On average, HDB takes 3.5 years to 5 years to build. On the other hand, EC takes about 2.5 to 3 years to build. When we started our first application with HDB, we were eligible for about 50k worth of grant. As our application keep getting bounced out for no queue number or no available units for selection, our grant amount eventually dwindled to 0. Like ZERO. While HDB are subsided flats, I don’t like the idea of my potential neighbours paying lesser for their unit then I did. 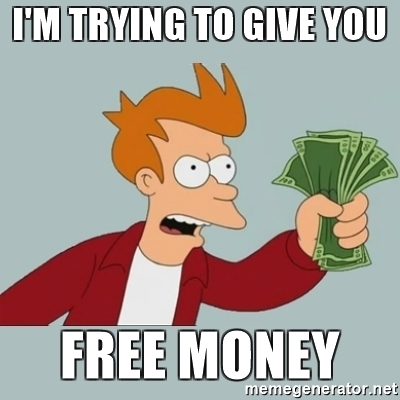 If your neighbour had taken some form of grant, they can potentially lower their home price when they put up their unit for sale. This will greatly undermine your bargaining power and may push down your home price should you want to sell it. On the other hand, as EC have a higher income eligibility for grant, we were still able to get some grant to offset the price of the unit. Not bad indeed. It has always been my dream to be able to stay in a private property at some point in my life. 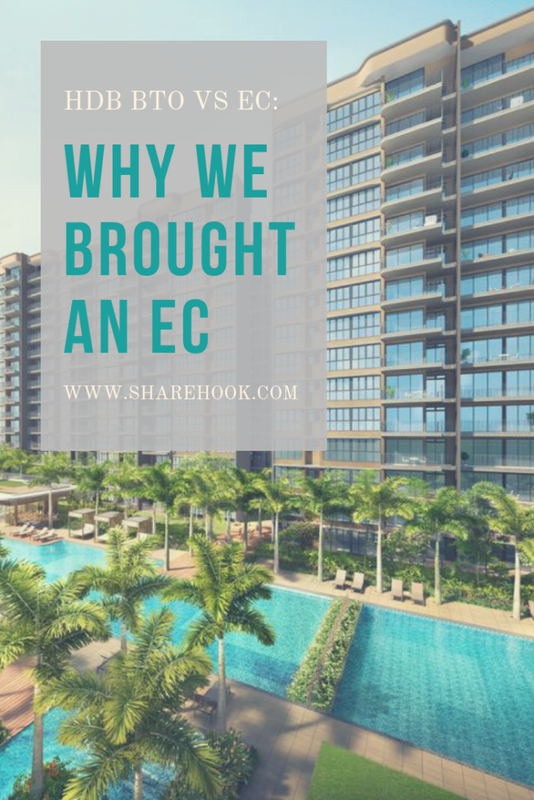 Since EC gives me an option to purchase a subsidised condo, why not? EC are semi privatized after 5 years and fully privatized after 10 years. 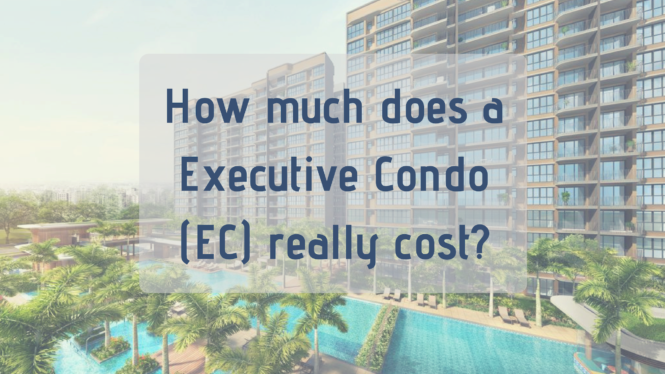 Yet the price of an EC is about 10% to 15% lower than a private condo. EC comes with complete furnishing like a private condo. 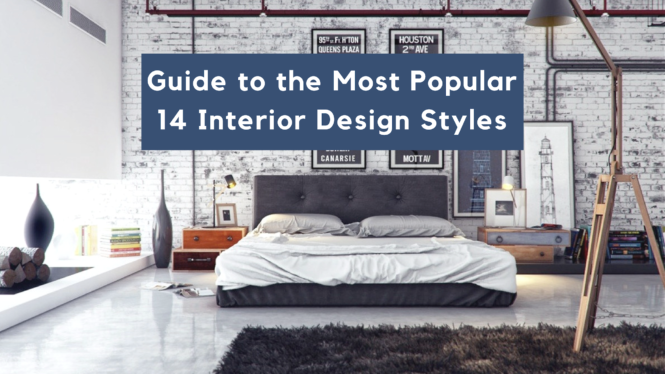 This includes tiles, shelves, kitchen and toilet furnishings. The effort to renovate the house decrease by a lot. 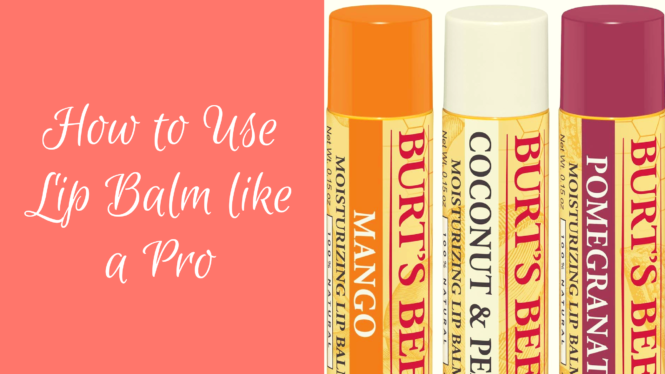 While I do agree that you may find it harder to customize the design, it saves a lot of headaches for us. Simple decor and we can move in in no time. This is a double edge sword. On one hand, the monthly maintenance fee is pretty hefty. On the other hand, I can finally use this reason to force my hubby to make good use of the gym and swimming pool to shed some pounds off his body. If you breakdown the figures, it’s not that hefty as you imagined. A typical 4 room HDB flat conservancy fees cost $60 per month, parking about $80 per month, and a typical gym membership can cost upwards of $50. This gives a nett cost of approximately $190. By paying a bit more, you can enjoy the facilities right at your doorsteps. Facilities are also shared between a smaller group of people. It’s a small sum to pay for. I could go on further. But the rest are minor reasons that do not have as much influence on my decision as the above do. You can PM me here, or drop me a comment if you would like to know more! Regardless, your housing decisions should be planned prudently based on your finances and housing needs. Never rushed into buying a flat just because you know the waiting time would be long. The decision could be made in a matter of minutes to weeks. But the debt that comes with it will follow you till a maximum of 30 years. 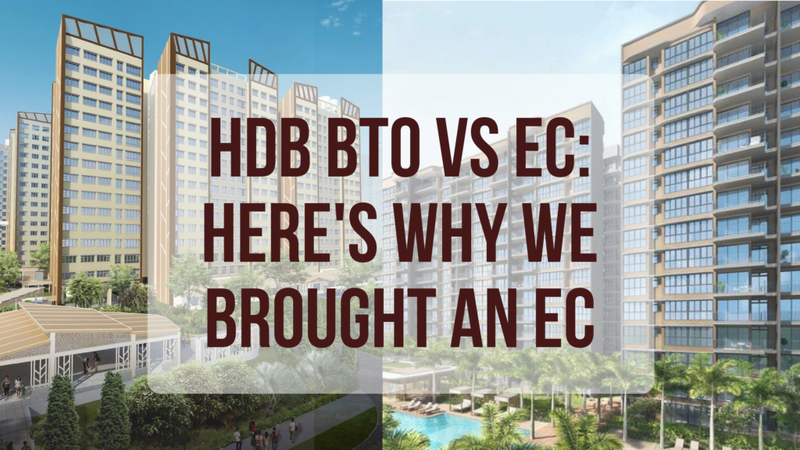 Do check out our guide on how much an EC costs and how much a BTO costs to better plan your finances! Turning 35 Years Old and Still Single? 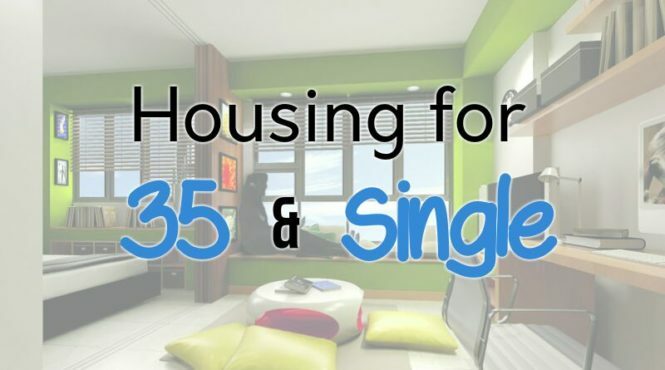 Check out these Available Housing Options for You!